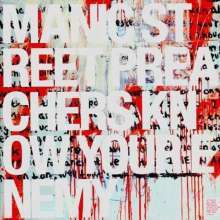 Der Artikel Manic Street Preachers: Know Your Enemy (180g) wurde in den Warenkorb gelegt. Ihr Warenkorb enthält nun 1 Artikel im Wert von EUR 21,99. Manic Street Preachers originally gained a loyal following and cult status with their combination of androgynous glam punk imagery, outspoken invective and songs about culture, alienation, boredom and despair. The band's later albums retained a leftist politicization and intellectual lyrical style, while adopting a broader alternative rock sound, especially after the mysterious disappearance of lyricist and rhythm guitarist Richey Edwards in 1995. 'Know Your Enemy'was released in 2001 and is the band's most varied in style, with its songs ranging from energetic lo-fi rock songs reminiscent of their earlier material to highly produced, more melodic pop songs, like singles o Why So Sad' and cean Spray'as well as a disco song. A couple of songs of this record were premiered during their performance at the Karl Marx Theatre in Cuba where even Fidel Castro attended the show. Playing there made them the first Western band ever to play Cuba.